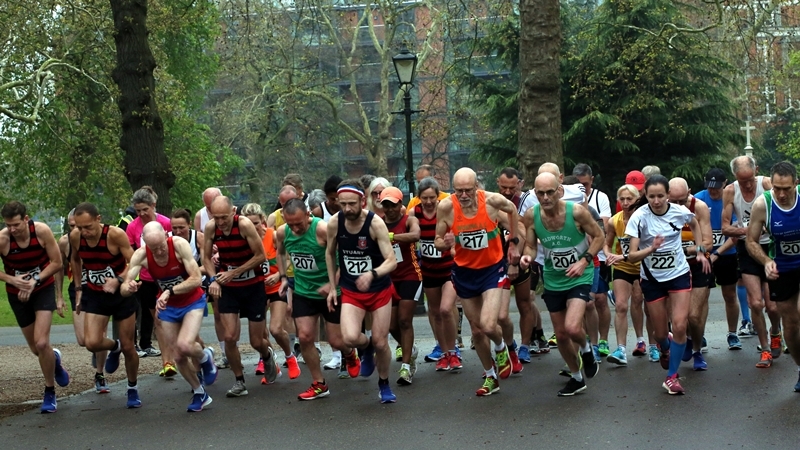 The new 3.5 lap course on Wandsworth Council’s “approved route”, coupled with favourable, cool, weather conditions, inspired fine performances in the first race of the 2019 series. 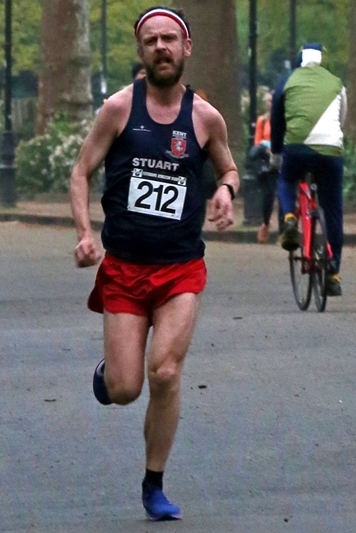 Stuart Beaney (M45) won in a fast time of 27:10, relentlessly pursued by Robin Jones, 18 seconds behind. 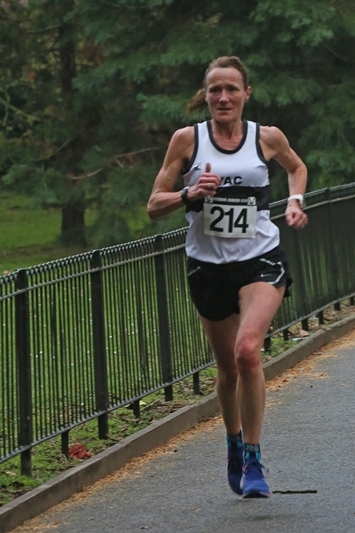 Sue McDonald was the first woman, following up her recent medal winning performances in the World Masters Indoor Championships in Poland, by shattering the W50 Battersea Park 5M record of 32:49 set by Carol Bowker in 2011. 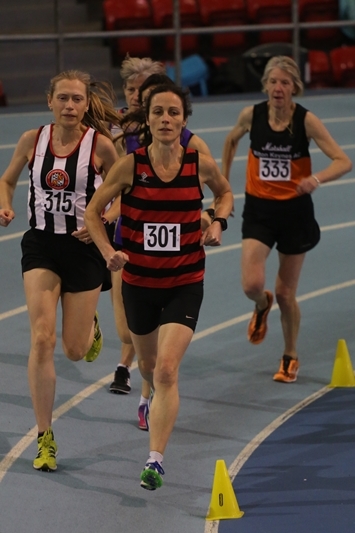 Sue’s time of 30:45 was only eight seconds short of the all-time fastest 5M women’s time set at Battersea by Marilyn Clarke as a W40 in 1997. Bob Bradbury of SCVAC was also in record-breaking form. 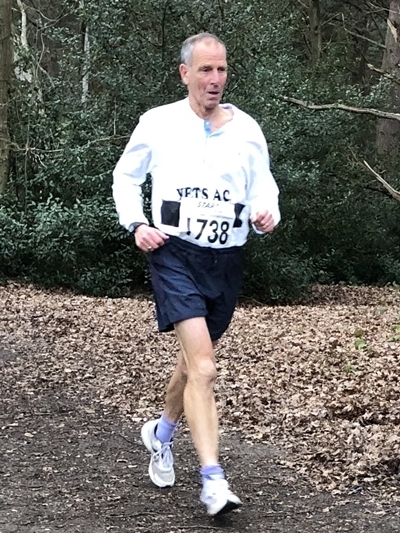 His time of 29:31 set an M65 Battersea Park 5M all-comers record, ahead of the 29:58 mark set by Ron Higgs way back in 1998. 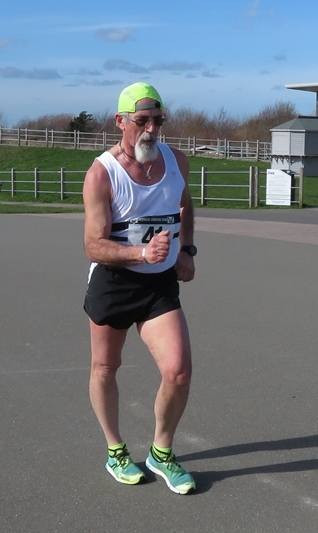 Bob’s remarkable time also places him at the top of runbritain’s list of All Time M65 5M performances. 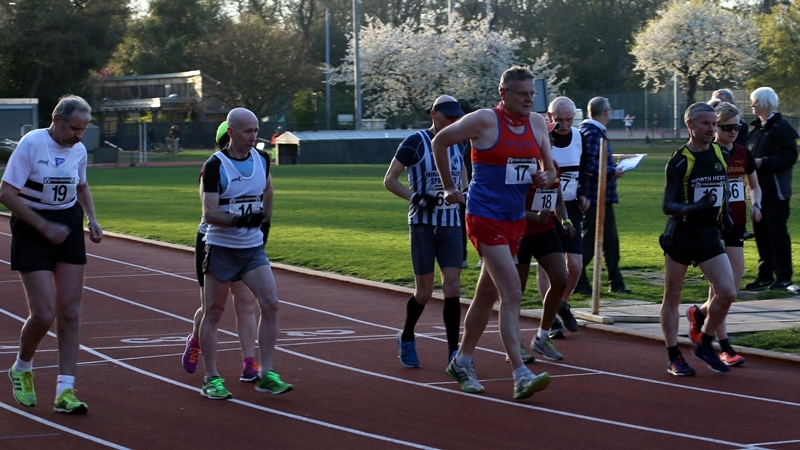 Other notable performances were from Tony Tuohy (M55) and Penny Elliott (W75) whose times were not far off matching the 5M records set by Gary Ironmonger in 2018 and Pam Jones in 2012. This was the first qualifying race for the Battersea Park Grand Prix for VAC members. To be eligible, members must register times in at least three of the five road races. The person with the highest average of his or her three best age-graded performances will be awarded the Snow Cup. Top of the table is Tony Tuohy (M55) whose time equated to a 90.25% age grading. Sue McDonald (W50, 89.70%) is in second place, followed by Penny Elliott (W75, 89.51%) in third. Here are the Age-Graded results. The first fixture of the season had a reasonable start in higher temperatures than of late on a slightly humid overcast evening. 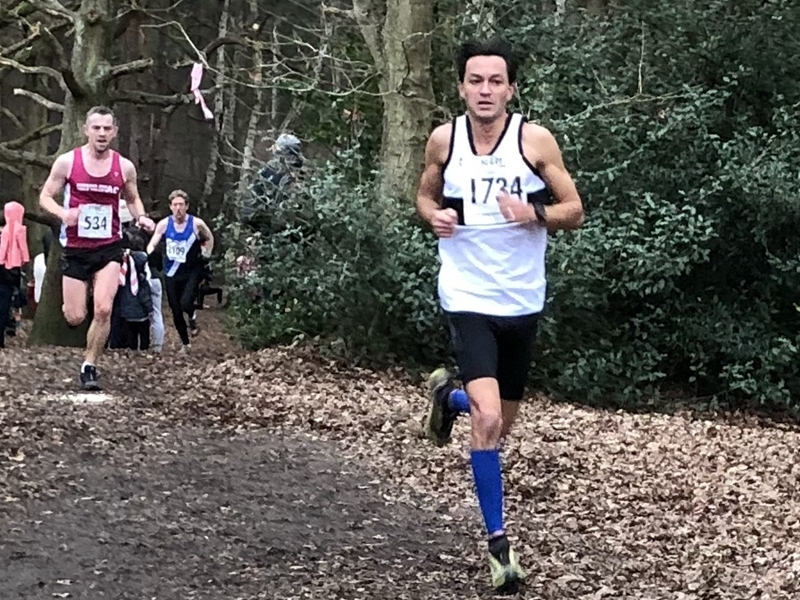 Dave Annetts from N Herts RR achieved another good win with a new pb in the times we have come to expect from him, and Melanie Peddle, Loughton AC continued her good form to win for the ladies in only a second outside her pb. Belgrave’s Stefano Zennaro who was the newest walker on the start line also achieved a new pb with plenty to look forward to in the future. The remainder of the field achieved reasonable times on the new course of three and a half laps of the Carriage Drives, which appeared to have been well accepted. Above photos from Cliff Hide. Cliff has more photos and is happy to supply J-Peg copies to competitors. Email him at cliffhide10@aol.com . The annual VAC and Counties championships took place in good racing conditions on a cold and breezy bright evening. 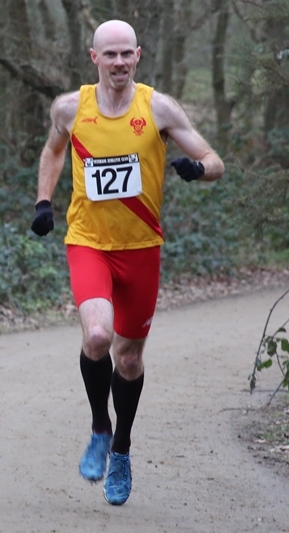 Dave Annetts from N Herts RR had an excellent win and also won the Herts champs for the second time. Belgrave's Maddy Shott had another convincing ladies' win to add to her growing list; also going under the hour was Steve Allen of Barnet now resident in Spain, and Malcolm Martin from SWC who was new to this meeting. 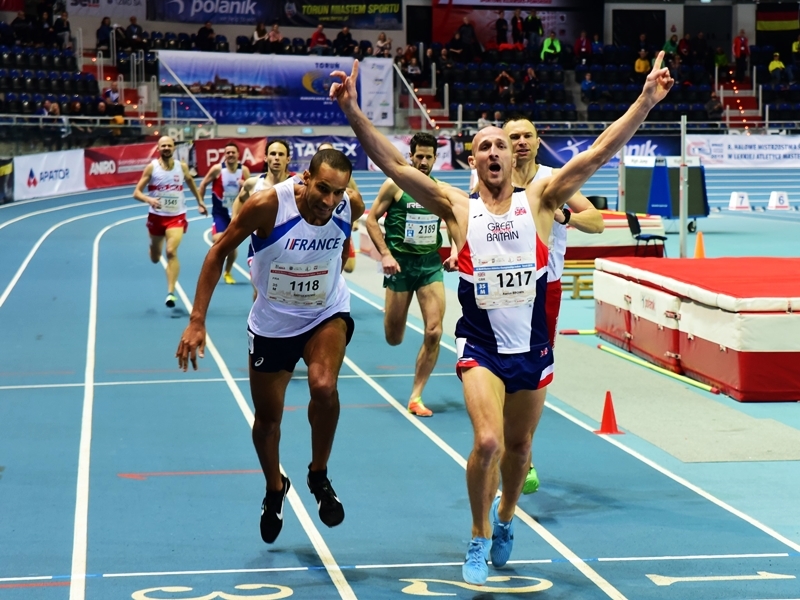 Nearly 60 VAC members entered the championships held in Torun as part of the Great Britain and Northern Ireland team. Track races were held at the very well-appointed arena, used for an indoor grand prix meet each year and about 2k from the Unesco world heritage-recognised walled old town centre. Races were able to be well supported by spectating athletes and were very entertaining, featuring world-class performances and a few tumbles and disqualifications. Jumps were mainly in the arena, with field events held at an adjacent outdoor track and throwing hall. A few VAC members ran Torun Parkrun on the first or 2nd Saturday, on a forest trail in the eastern outskirts. 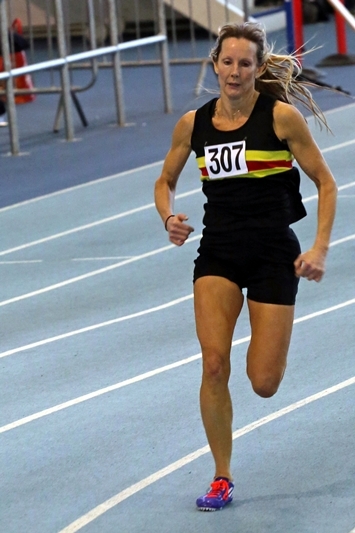 Day 1 (sun 24) saw the 3,000m finals, where VAC members Ros Tabor (w65), Clare Elms (w55) and Zoe Doyle (w40) won golds. Day 2 featured cross country over a tricky 2k circuit (3 laps for over 70’s, 4 for the rest) with several short hills and turns in a sandy pine wood next to the track. 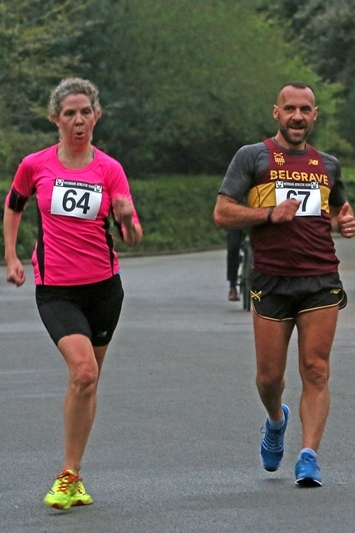 An early winner was Richard Pitcairn-Knowles (m85), and later races featured wins by Ben Reynolds (m55) and Clare Elms. 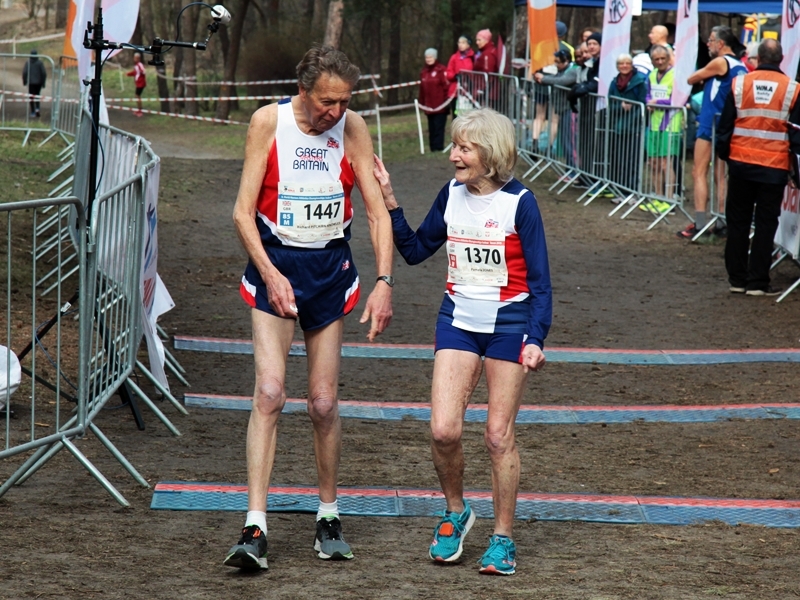 Michael Johnson (m75), Sue McDonald (w50), Lucy Woolhouse and Clare Elms (w55) were in winning GB age-group teams. 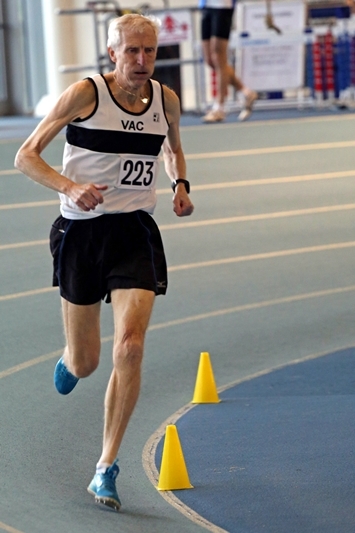 Meanwhile, Ian Richards was winning the M70 3k indoor track walk with a world record. 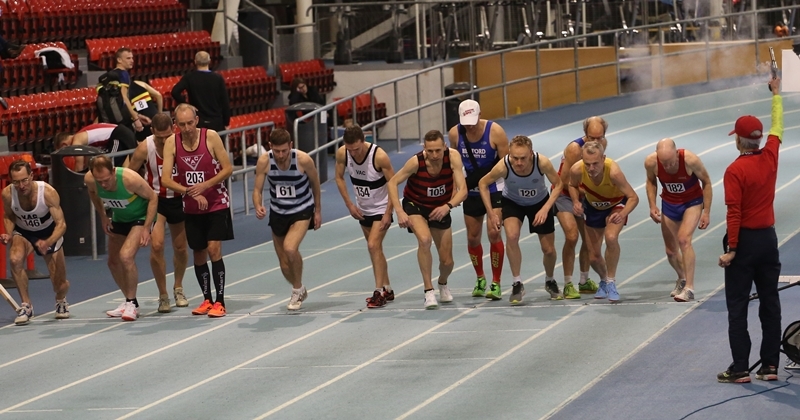 Day 3 featured 400m finals, day 4 the 60m’s, where Allan Long won the m75’s race, and a road 10k. Aaron Brown won at m35 800m on day 5. Finals for 60m hurdles and 200m plus 10k road walks were on day 6. 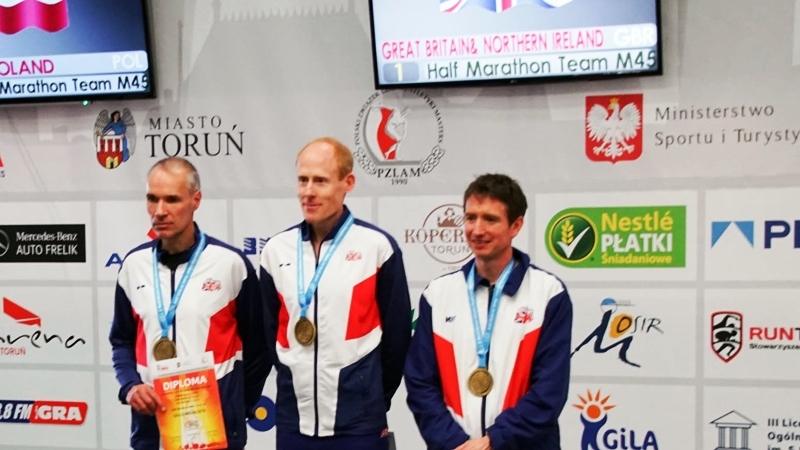 Day 7 started with a half marathon, out and back initially on a dual carriageway but later featuring a road and cycle path through woods; Simon Baines and Paul Cheetham were in the winning GB team in the m45 age group. Indoors, GB won 9 of the 1500m races, including Clare Elms’ 4th w45 gold of the championships and Zoe Doyle’s second w45 win. 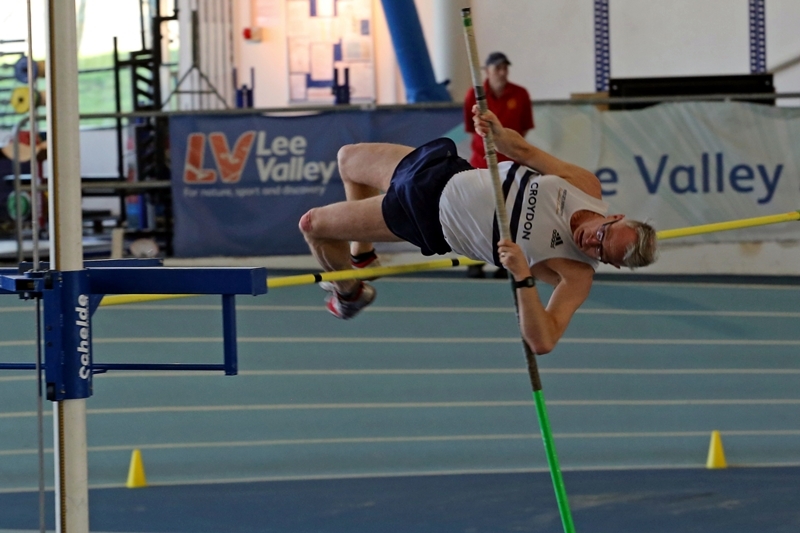 Sue Yeomans won the w65 pole vault. 4x 200m relays and a handover to Edmonton, Canada for the worlds in 2021 completed the championships. Future European and World masters championship latest details are on the BMAF website. 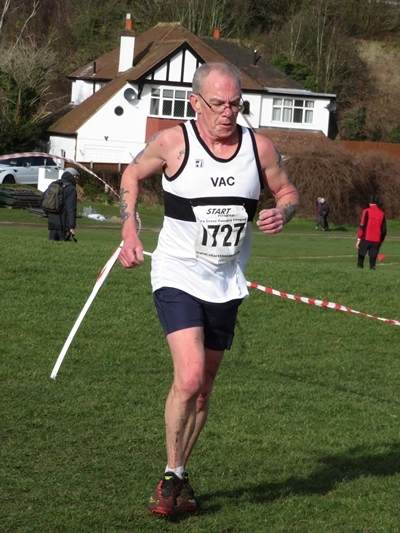 VAC members have BMAF affiliation and are generally able to enter these championships. A large number of VAC members competed at these championships and we had many medallists, including lots of golds. 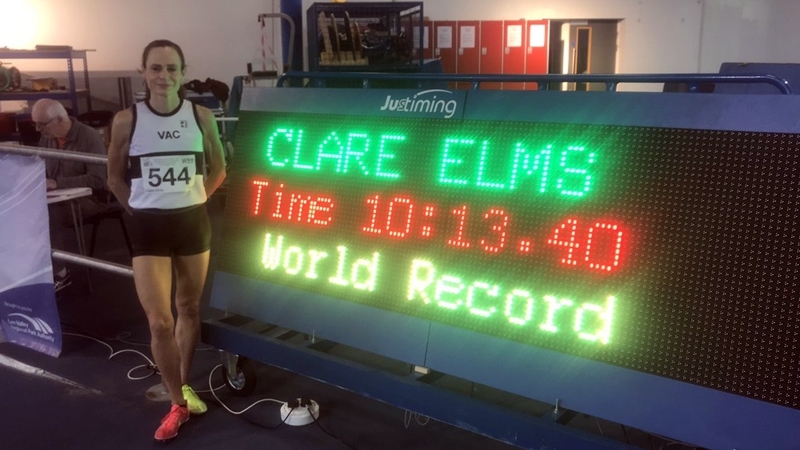 Particular highlights were Clare Elms W55 World Record in the 3000m (10:13.40), a race which also saw a M85 British Record (18:55.69) for Richard Pitcairn-Knowles. John Kirkham threw a British Record distance (5.24) in the M90 shotput. 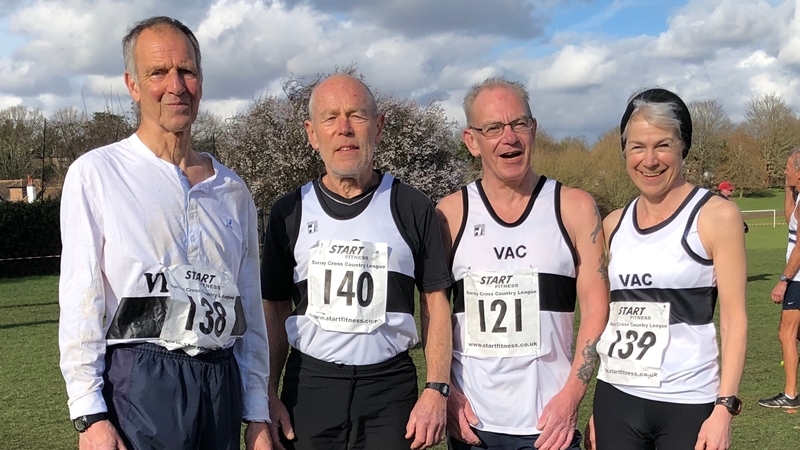 Veterans AC were pleased to host the fourth running of this event on a dedicated cycle circuit with many loops and gradients. In all there were 34 paid entries with 28 on the line, a little down on 2018, with ages ranging from 13 to 80. The conditions although bright, sunny and not too cold were hampered by unrelenting high winds on this very exposed course which was testing for athletes, officials and judges. 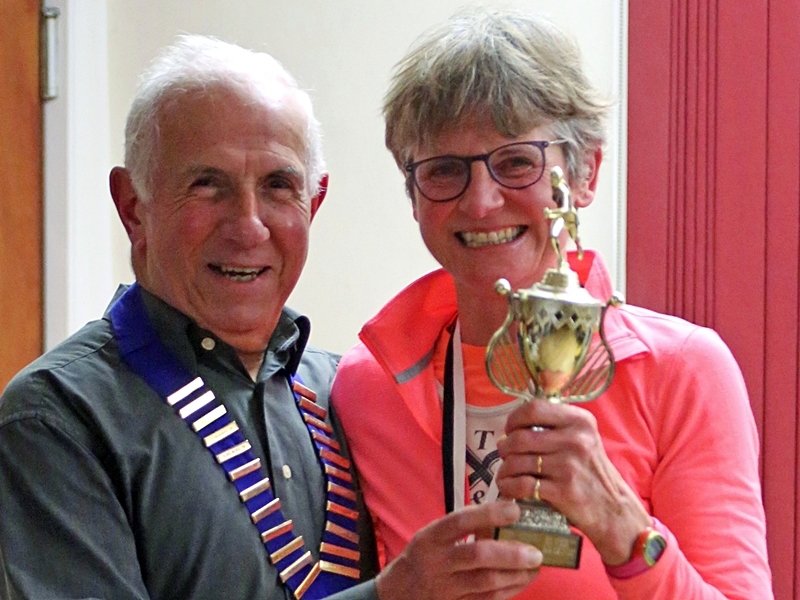 Given the conditions the biggest success of the day was the ever-improving Jacqueline Benson (Ashford AC) who chopped 5 minutes off her 2018 time to win the ladies’ 10k in 1:00:07; it was also her first win. 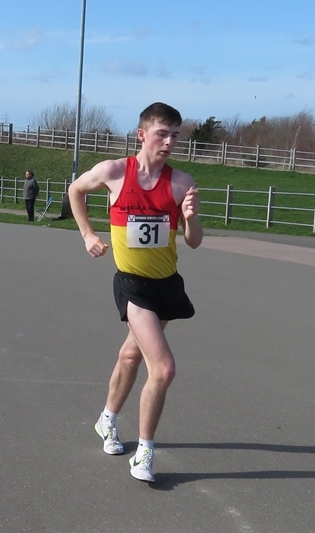 George Wilkinson (EHAC) convincingly won the men’s 10k race in 50:58, with a margin of nearly 9 minutes ahead of the next walker, and added the win to his growing list of achievements. The men’s 15k was won in 1:24:31 by SWC’s Francisco Reis with a commanding lead of nearly 13 minutes over the second finisher, Stuart Bennett. 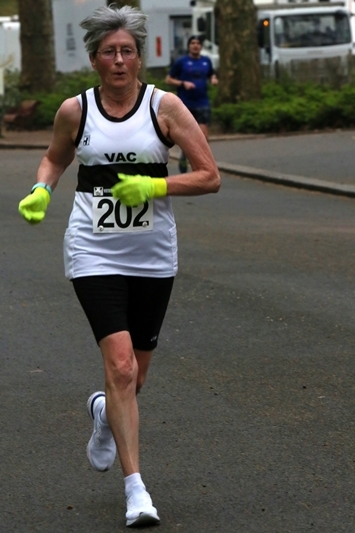 For the ladies’ 15k only entry VAC were pleased to welcome Cath Duhig (Ryston Runners) who is normally resident in Spain and was in the UK on a flying visit, finishing in 1:45:00. 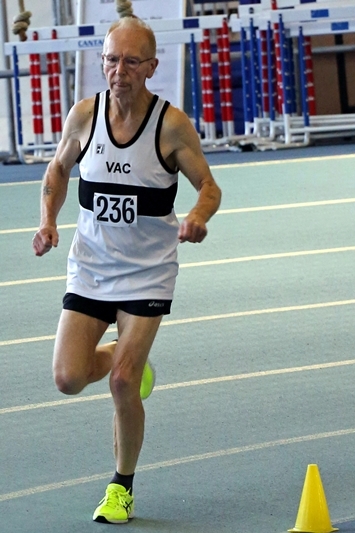 Centurions Stuart Bennett and Cath Duhig also competed at the busy veterans 3k indoor race at Lee Valley the next day. 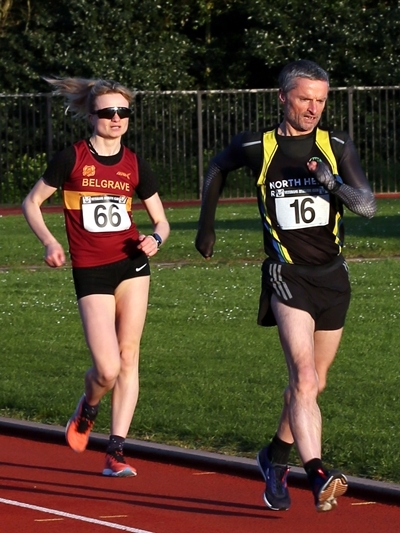 The supporting races included the only other athlete to improve their 2018 time, Charlotte Wallis (AFD) in the 2.5k, where Jonny Ellerton (Blackheath) completed his furthest distance. 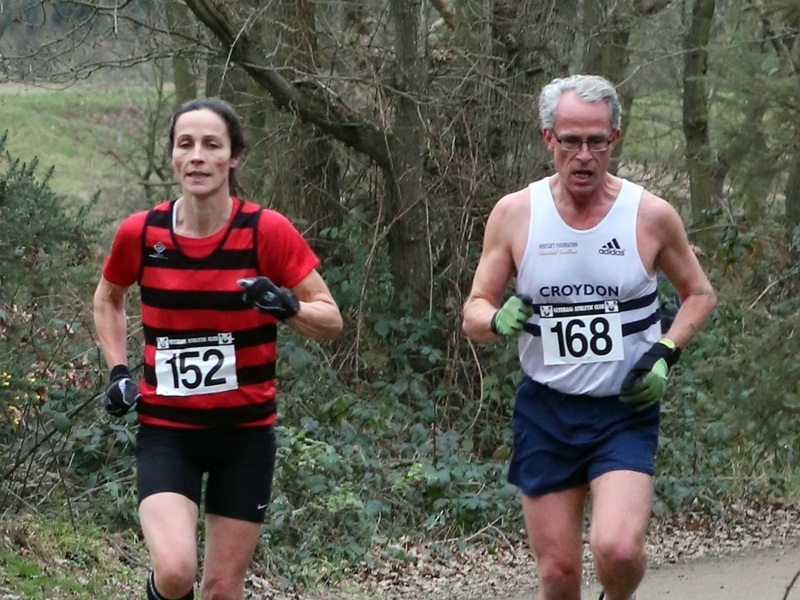 Meanwhile in the ladies’ 5k race, won by Isabelle Bridge (Blackheath), it was also her club colleague Abi Smith’s first attempt at that distance. 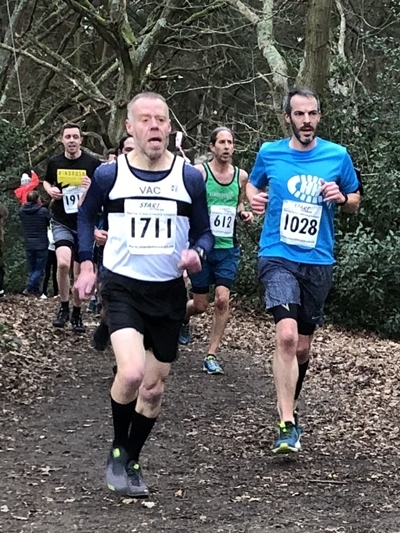 Other first timers were Belgrave’s Stefano Zennaro with his first 10k in 1:03:23; going under the hour is now a very real prospect, while Centurion aspirant Don Arthurs (Ashford) finished in his first road race in the sport over any distance with a baptism of fire in the 15k. 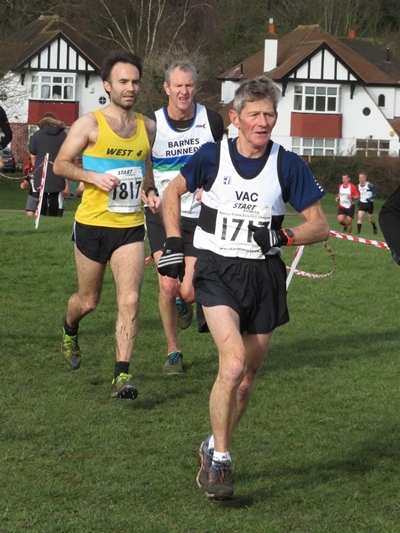 VAC are grateful to Ron Wallwork for allowing this race to be incorporated in the Enfield League series. Thank you all for supporting the event whether as competitor, official or judge. 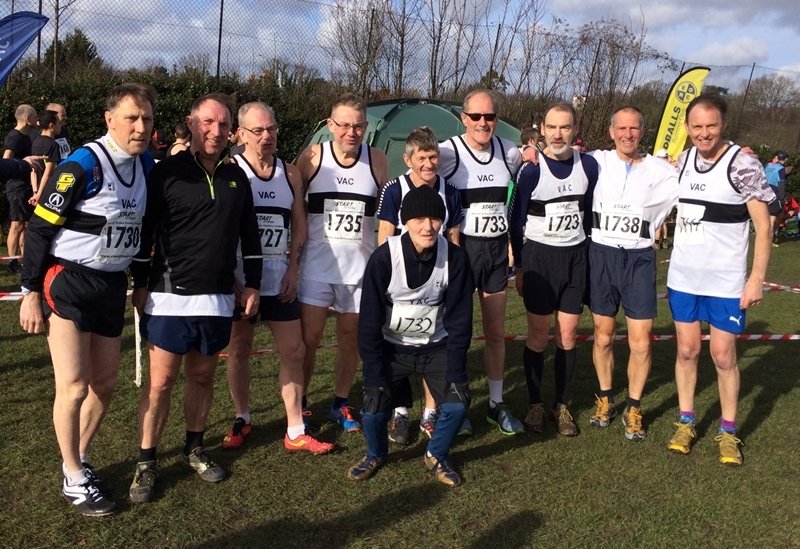 Four VAC members formed a team for the second match of the East Surrey League on a firm 5 mile course in Lloyd Park. 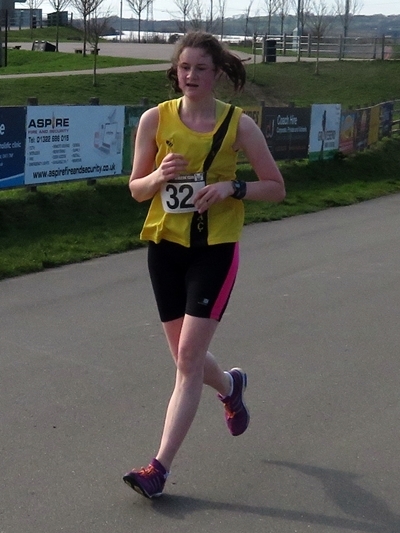 Lucy Woolhouse led the team home in an excellent time of 35:16. She was the first, and only, woman in the race. 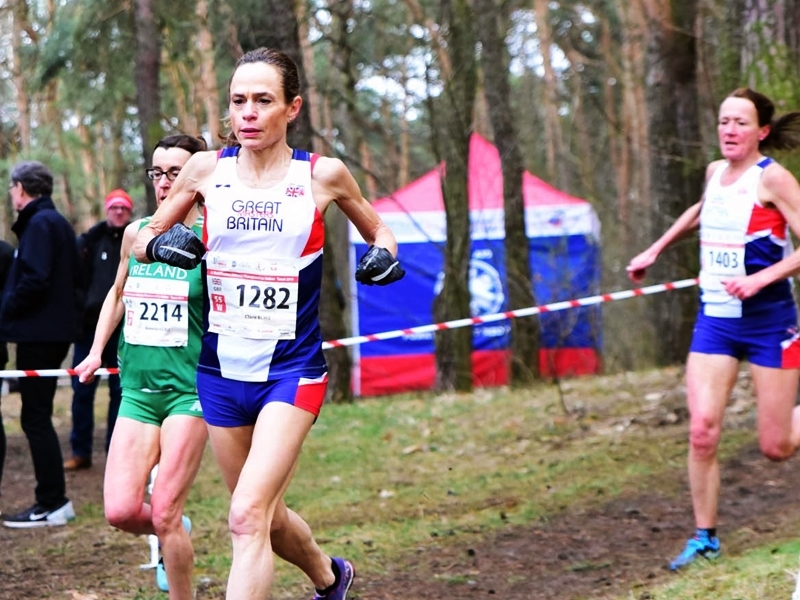 The other eligible women had run for their clubs in the earlier Surrey League races at the same venue. The results and team scores are here. 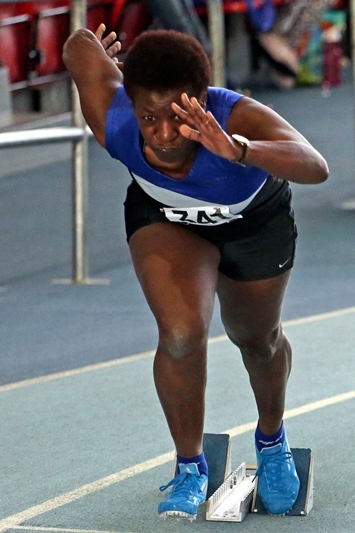 VAC held its indoor track and field championships in conjunction with EMAC. This meant a better number of entries, but still most events, apart from sprints, were made up of athletes from more than 1 age group. 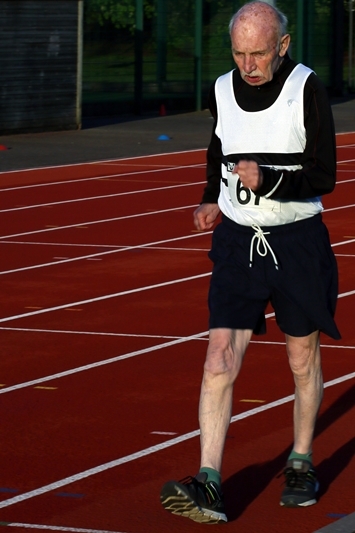 Runners do not have any age-identification so it can be hard to know who is in which age group. Some events also mixed male and female athletes. This meant there was usually good competition. 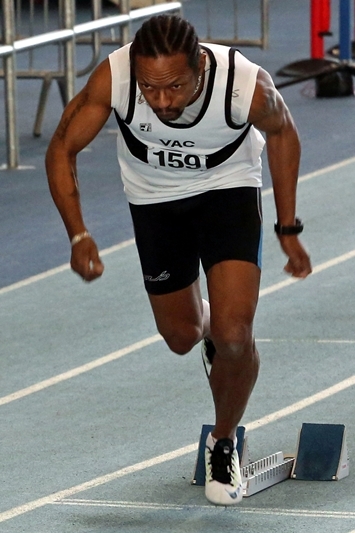 About 60 VAC members took part in the championships, many of whom took part in more than 1 event. 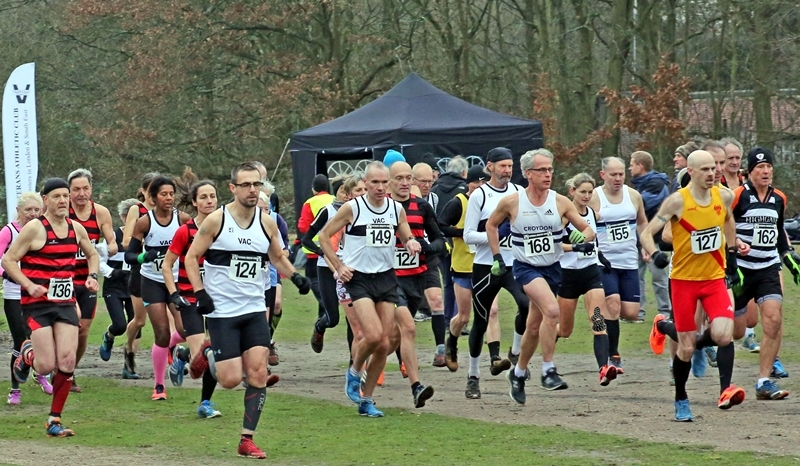 Hackney Marshes was the venue for the VAC parkrun get-together but fixture clashes meant that the regular VAC parkrun tourists could not attend. 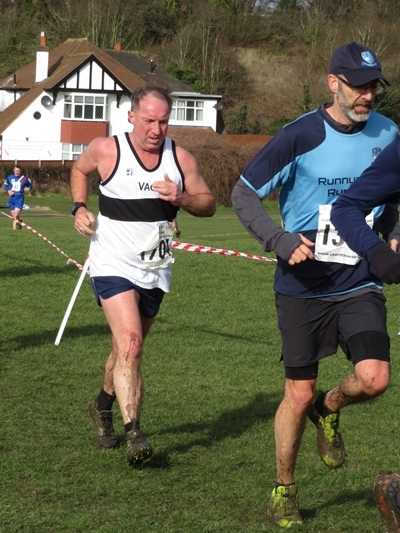 Mark Jefford and Richard Pitcairn-Knowles competed for VAC, supported by Road Running Secretary, Dennis Williams. The course is noted for quick times and both runners posted their fastest parkrun times of the year. 35th Mark Jefford, 19:19, 1st M50, 78.26%. Both Penelope Cummings and Arthur Thomson achieved championship best performance. Eleven VAC men lined up at Lloyd Park for the final match of the series. The rain held off but the course was tough, featuring the usual long muddy stretches and slippery hills. 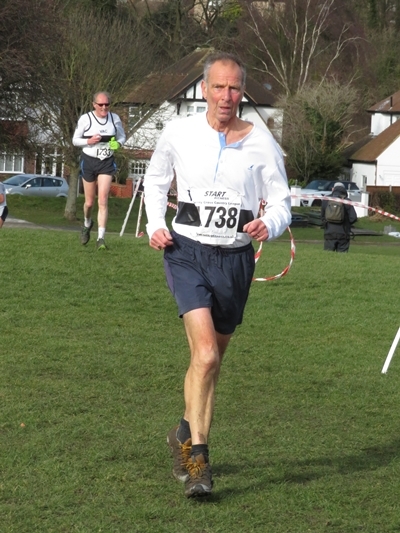 Barry Attwell led the team home and was the first M60 in the combined Division 3/4 race. He was followed by Ian Kitching, the first M65 and winner of the overall M60 trophy. Next was Carey Gray who extended his attendance to seven complete seasons without missing a match. His times have been remarkably consistent too. Gary Budinger also competed in every match this season. 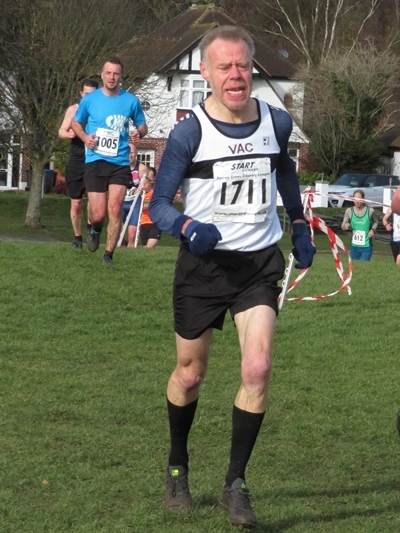 The remaining VAC runners dug deep and held their places. 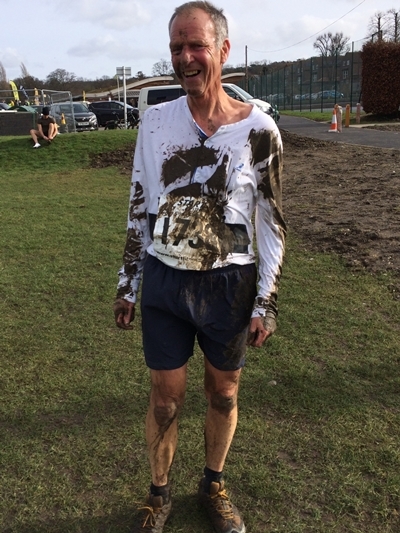 Unluckily, Dan Maskell tripped and fell full-length on the second lap but finished strongly and undeterred, covered in mud. Despite having a full team, VAC finished 11th out of the 12 teams in the Division. This position was also our overall standing after the four matches. Thanks go to Paddy Clark, the VAC team manager, for his organisation and encouragement as well as being a reliable marshal at each race. Division Four Team Results at Lloyd Park Overall Pos. Full results of the Division 3/4 match and team placings are here. Above photos from Cliff Hide. Cliff has more photos and is happy to supply J-Peg copies to runners. Email him at cliffhide10@aol.com. 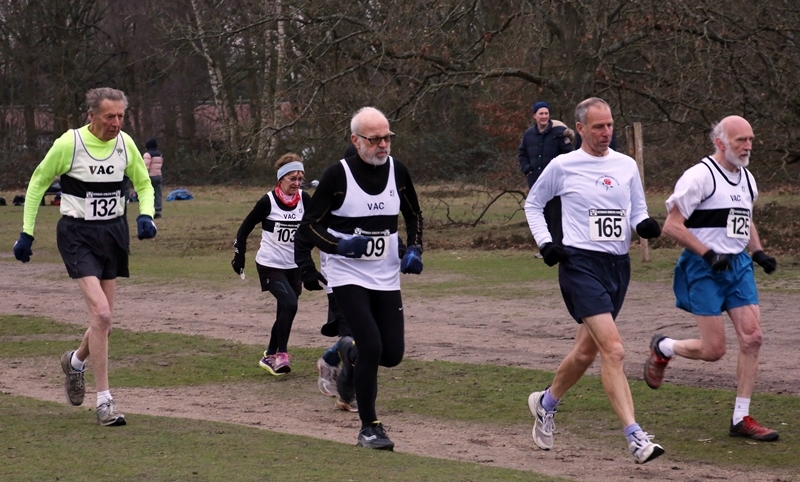 Fifty nine VAC members and guests competed on Wimbledon Common on a cold, overcast, afternoon. Earlier in the day, marking the course had been thwarted by tree felling alongside the Beverley Brook forcing the closure of the track and a rerouting of the course into the playing fields on the other side of the brook. 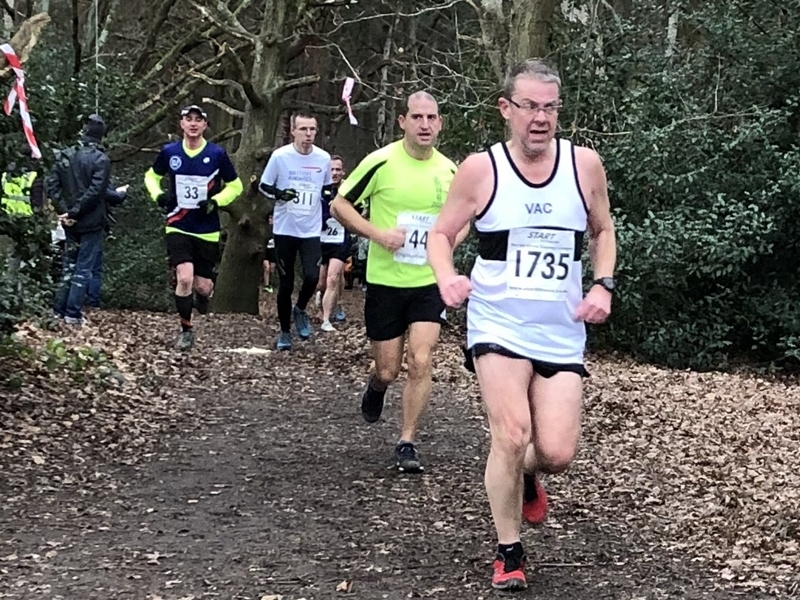 The new route probably added a couple of hundred metres to the 7.5km (around 4.5 miles) course, but some said that the grassland was preferable to the alternative tree roots and mud. Richard McDowell (M35) held off the persistent challenge of Paul Cheetham (M45) to become the Men’s Champion by a margin of 13 seconds. Robin Jones (M45) was less than 30 seconds behind in third, followed by the M55 Guest Gold medallist, Robert McHarg from SCVAC. 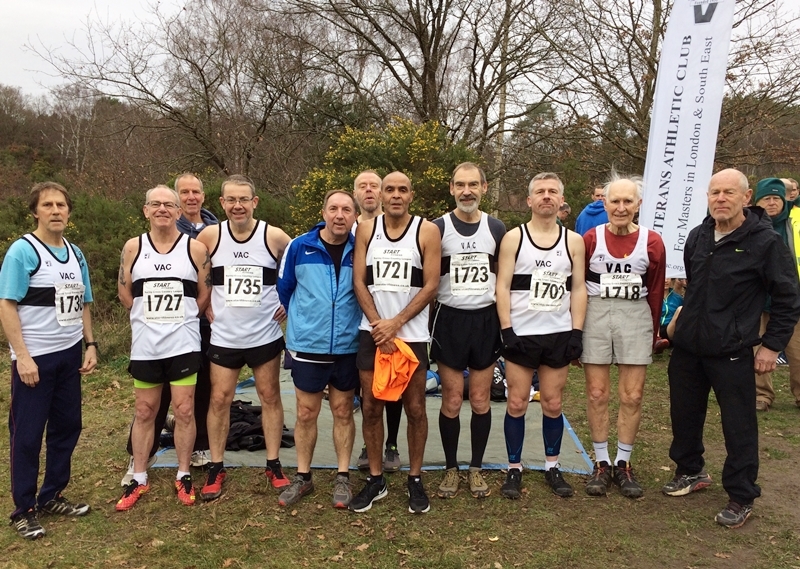 Other Gold medallists were Dan Hallam (M40), Terry Booth (M50), Mark Tennyson (VAC M55), Steve Smythe (M60), Gerry Smith (M65), Peter Giles (M70), Doug Milsom (M75), Joe Aspinall (M80) and Richard Pitcairn-Knowles (M85). 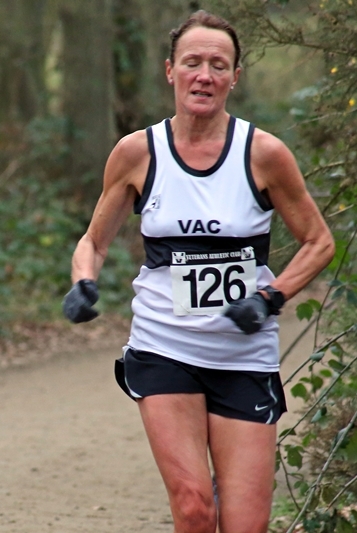 Sue McDonald was the Women’s Champion and W50 Gold medallist in a very fast time of 30:14. Nikki Sturzaker (W45 Gold) was thirty seconds behind, followed by Lucy Woolhouse (W55 Gold). 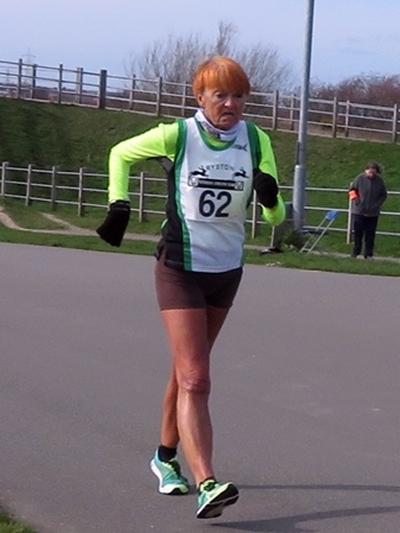 Other Gold medallists were Sue Belcher (W40), Anna Garnier (W60), Margaret Moody (W65) and Lesley Bowcott (W70). 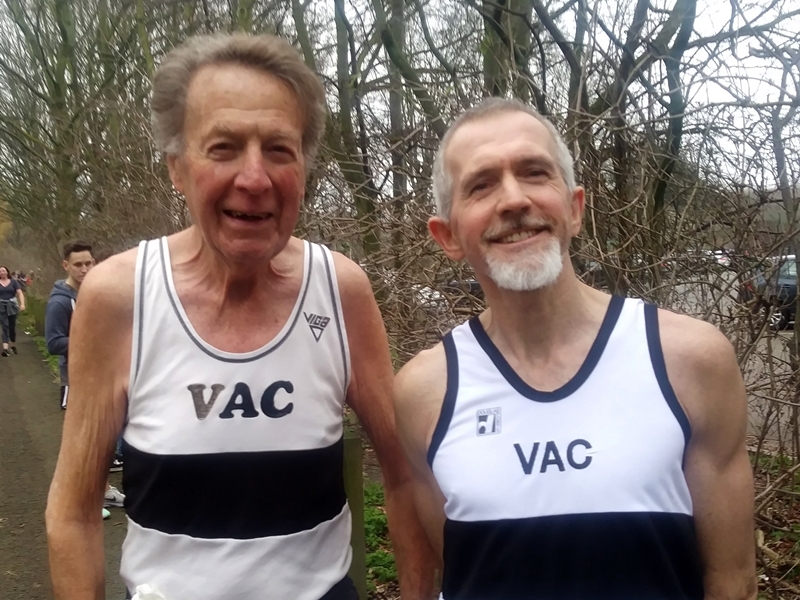 Times were not counted for course records because of the course diversion, which is disappointing for Joe Aspinall and Sue McDonald whose times would have set new VAC M80 and W50 course records. Race results, age category positions and medallists are here. 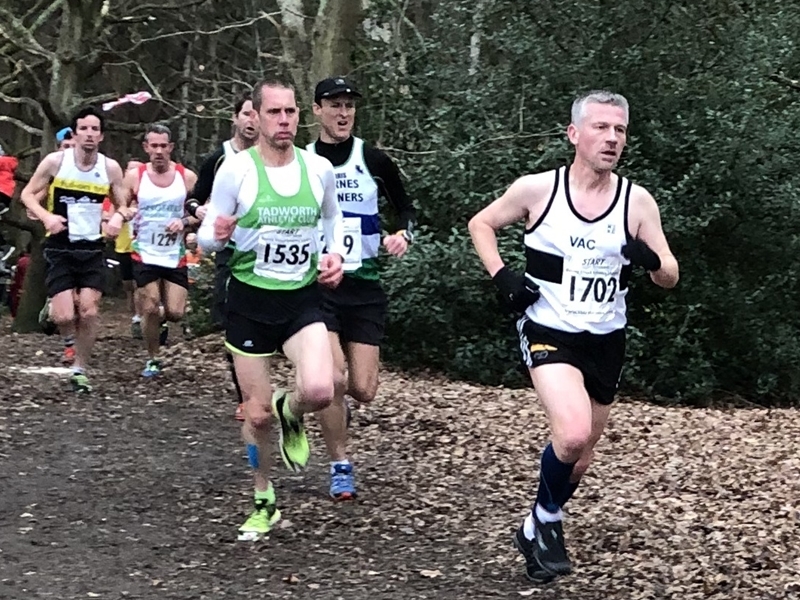 The third match of the Men's Surrey League took place on a tough course in Oxshott Woods with three repetitions of a steep hill which was long enough to hurt each time. 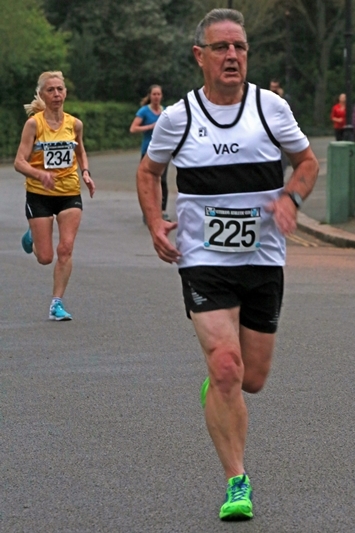 Some regular runners were absent but newcomers scored well to give VAC a respectable presence. Twelve men started but bad luck and wise decisions made a final tally of eight finishers. First home for VAC was newcomer, Edward Lambert, followed by Richard Batchelor, both well up in the field. Regulars, Carey Gray and Gary Budinger were next, closely followed by Lloyd Bevan, making his VAC Surrey League debut. 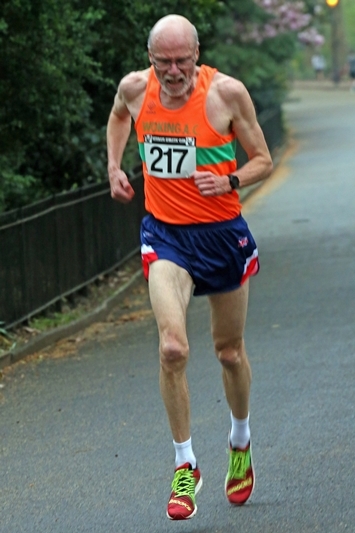 Dan Maskell, usually seen race-walking, made a welcome return to the team. Ian Strong brought VAC home with his usual determination and great enthusiasm. VAC's team were 11th out of the 12 clubs in Division 4. Overall, after three matches, we are also in 11th position. To move up the table, we need a good turnout at Lloyd Park, Croydon, on 9 February. Division Four Team Results at Oxshott Woods Overall Pos.